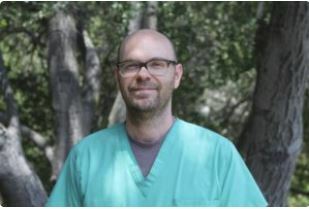 For our February SFV Audubon open-to-the-public meeting, Denys Hemen will do a presentation on the California Wildlife Center and its care of wildlife patients and orphans. Denys is the hospital manager for the group and has worked at the center since 2007. He began as a volunteer and took on various jobs such as on the marine animal rescue team, as a hospital technician and as facilities manager. His passions at work are the songbirds and enhancing/repairing their enclosures. He is originally from Alabama where he attended Auburn University and attained a bachelor’s degree in Zoology. Outside of work he enjoys being a dad to his 1 1/2-year-old son. The presentation will provide and overview of what they do at the CWC when an animal patient comes in, and how they enhance their stay. Denys will include many pictures of past and present patients.